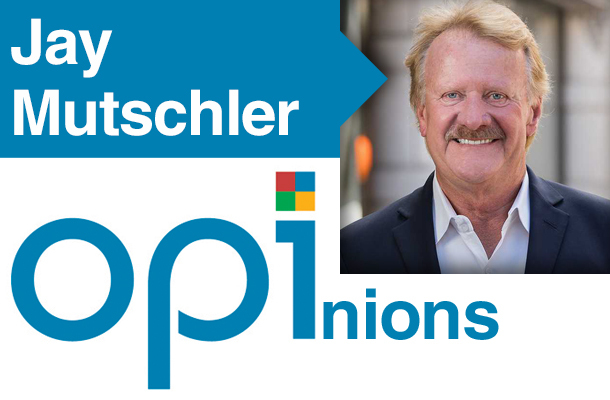 Jay Mutschler says the clock is ticking for office products dealers. It’s not difficult to recognise that there is a rapid shift taking place in the OP industry. Even the most casual consumer can visit a big-box store and see that the marketing, pricing and availability of many office products have been significantly impacted by e-commerce and other non-traditional sales models. For dealers in the industry, the sounds of a distant bell tolling should serve as a long overdue call to action: realign your strategy for the digital age or face extinction. Declining consumption of key products: businesses and consumers are purchasing fewer core office supplies, such as notebooks, paper filing systems, writing instruments, dated goods, etc, which is eating into the margins companies have relied upon for decades. Lack of technical expertise/investment in multiple product lines: far too many dealers carry lines on which their sales forces have only nominal training, such as office furniture, jan/san and printing. This knowledge gap often leads directly to an inferior customer experience. Sophisticated and deep-pocketed competitors: Both e-commerce and bricks-and-mortar suppliers – including Amazon, Walmart, Office Depot and Staples – have extensive capital, technology and human resources to compete at levels traditional dealers simply cannot. Investments in big data, CRM and employee training, as well as the ability to acquire organisations that specialise in niche products, give these industry giants an advantage that even the largest independent dealers generally can’t make up. The bottom line is that OP buyers want the same dynamic service experience that they’re accustomed to in all other aspects of the digital service economy. They want the ease, mobility, recognition and personalisation that let’s them order a double espresso via smartphone. As presently structured, most dealers aren’t equipped to provide that level of service, relying instead on an old economy cost structure and shopping experience that doesn’t align with what customers now expect in a mobile business environment. This has put many dealers in such a precarious position that many are searching desperately for an exit strategy. The blueprint for survival in this environment can’t be applied to every dealer in every industry, but OP suppliers can look to another similar business for inspiration: hardware stores – and in particular the long-time brand, US-based Ace Hardware. In an era in which big- (and orange) box stores dominate on a number of levels, the neighbourhood Ace has managed to stay afloat by creating a unique and friendly service environment where store owners and consumers benefit from the ease of doing business. A focus on niche product knowledge, realistic cost structure and customer service has enabled Ace to maintain brand loyalty despite the ubiquitous presence of hardware behemoths. So rather than jumping ship, here are some recommendations for office products resellers willing and able to make the changes necessary for both short- and long-term survival. Immediately realign cost structure. Traditional high-low pricing – in which sellers charge a higher price for a popular item and then provide discounts or sales when that product’s popularity passes – is no longer viable for small-to-medium-sized dealers. Particularly with high-end products (such as ink, toner, and computer hardware), dealers can’t possibly compete at the same margins as a Staples or Amazon. Instead, it’s time to adopt the everyday low-price model where the dealer can fix costs, advertise less and form predictable, long-term relationships with buyers, who would no longer feel the need to comparison shop for every purchase. Do what you do best. Dealers need to recognise where their natural sell areas are and invest in growth categories, rather than attempting to market the broadest array of products. Instead of pouring money into selling high-end products of which larger competitors will always have an advantage, dealers should focus on the products and services that they know best, where they have qualified sales and service expertise, and have the largest buyer networks. From there, they can selectively partner with other suppliers in key areas that see occasional consumer demand. Design and deliver an intimate customer experience. For nearly two decades, B2C enterprises and large retailers have put resources into technology designed to enhance the customer experience. Resellers must now follow suit, especially in a B2B sales environment where commodity procurement must be differentiated from a unique, value-added experience. From enhanced customer service to streamlined online ordering interfaces and mobile-ready platforms, buyers are seeking the easiest path to the products they need. Those that use technology to simplify a traditionally complex ordering process will see an increase in customer loyalty. Shift the thinking around outside sales. OP dealers have traditionally employed outside sales personnel that maintain forged-over-time relationships with buyers, but aren’t as well-suited to meet the demands of the digital age. Inside sales technology, and the emergence of an up-and-coming sales generation that is well-equipped to leverage that technology and data, means that the role of the outside salesperson is poised to change dramatically from one of relationship manager to information specialist. Investing in a strong, savvy inside sales team will enable dealers to recognise greater cost efficiencies over the traditional sales model, while significantly increasing customer reach and sales productivity. It’s impossible to deny that the business supplies industry is speeding toward a tipping point and that there is a very real possibility many in the independent dealer channel will not survive the next five years. Those organisations refusing to acknowledge some of the fundamental flaws in their business model will be the first to fall. Creating the most dynamic customer experience should be the priority for those dealers that want to adapt to the current competitive environment. The technology and the experts are out there, just waiting for the bold and forward-thinking business to put them into play. Jay Mutschler is a senior partner with ESG (Execution Specialists Group), a Denver-based consultancy. An award-winning icon in the office products industry, with three decades of grounded experience, Jay provides ESG clients with the practical leadership and accountability they need to propel forward at the speed of execution. He is an outstanding networker and impact-driven professional, who is sought after on a global scale for his precision in high-growth markets.